Wholesale Kildare Christmas trees, Noble and Nordmann fir. We planted our first Christmas trees back in 1974 and we have been growing Christmas trees continuously since then. 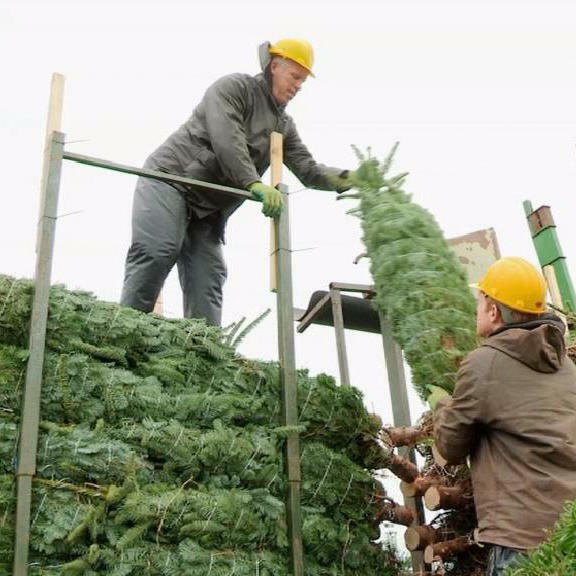 Consequently, we have built up an enormous amount of experience and knowledge in how to grow high quality Christmas trees. We have many loyal customers all over Ireland, including garden centres and other retail outlets in Naas, Dublin, Cork and Belfast. As recently as 2017, we exported a large container of Noble Fir to Dubai in the United Arab Emirates. Our Kildare Christmas Trees farm is conveniently located near Naas and within easy reach of the M7 motorway. This ensures easy access for trucks and “on-time” delivery in bad weather. Click here for directions. We have high quality Noble Fir for sale. 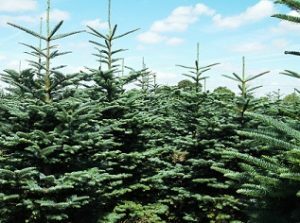 We have a large quantity of premium non-shed Nordmann and Noble Fir Christmas trees available for sale wholesale (lots of 100 or more). Sizes available are 5ft, 6ft 7ft, 8ft, 9ft and 10ft. We are competitive on prices. We believe in giving value for money. Trees will be delivered baled and palletised for ease of handling. Contact us today at 087-2453795 or email martin@kildarechristmastrees.ie. You are welcome to come and see the trees for yourself and meet Martin to discuss prices, quantity and delivery dates. Click here for more contact information.